December 2011 | Shirdi Sai Baba Stories in Tamil. "AT THE FEET OF MY SATHGURU SAI"
Daily Message From Sai Satcharitra. Sai Baba Mantra And Lyrics in Tamil. Shri Sainath Stavan Manjari . Shirdi Sai Baba Ashtothram . Shirdi Sai Baba 11 Assurances. FOR SAI BABA SAMADHI -3 metres cloth in length and 46 " in breadth. FOR SAI BABA IDOL-3 metres cloth in length and 46 "in breadth. KHES OR STOLL (AROUND NECK)-2 metres . Shirdi Sai Baba Stories,Leelas and Teachings. Shirdi Sai Baba Bhajans and Songs. Celebrating 125 Years of Nirvikalpa Samadhi Of Shirdi Sai Baba On 10th December 2011. Shirdi Sai Baba's Grace-Experience Of Sai Devotees-Part 23. Live Darshan Time 4 A M.To 11.15 P.M.(IST). Live Darshan Can Be Viewd Only In Internet Explorer. Download Sai Baba Song In Tamil. Om Jai Jagdish Hare in Tamil. Shirdi Sai Baba Star Plus Title Song. Article From Sai Leela Magazine. As the flower sheds its fragrance. Concise Sai Satcharitra In Tamil. Sai Baba Mantra and Lyrics. Share Your Sai Experience . Search Topic Of Your Interest. Original Rare Photograph of Sai Baba. 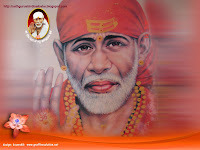 Download Shirdi Sai Baba Sceen Saver. Shibpur Sai Baba very old temple. Frankfurt Shirdi Sai Baba Temple. Gowrivakkam Shirdi Sai Baba Temple. Ananda Sai at Poonthandalam -Chennai. 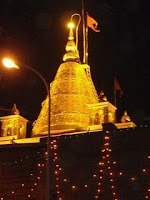 Bhivpuri Oldest Shirdi Sai Baba Temple. Sai Baba appeared as Nag in this temple. Shirdi Sai Baba's Tooth kept in this Temple. Composition of Shri Das Ganu . Shirdi Sai Baba Aarti Sung in Shirdi. Shirdi Sai Baba Stories in Tamil is licensed under a Creative Commons Attribution-Noncommercial-No Derivative Works 2.5 South Africa License. Best Viewed in 1024 x 786 Screen Resolution .